Call Dr. Robertson-Woods & Associates to schedule a comprehensive child’s vision exam if your child exhibits one or more of these signs or symptoms and is exhibiting these types of problems in school. Once your child’s comprehensive vision exam is completed, we will advise you about whether a program of vision therapy could be helpful. 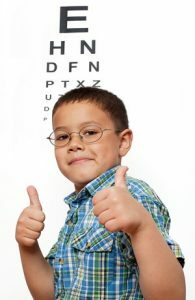 Our eye doctors will refer you to a children’s vision or education/learning specialist if we do not provide the specified additional services your child needs.